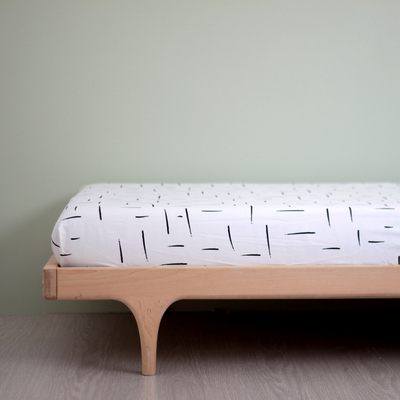 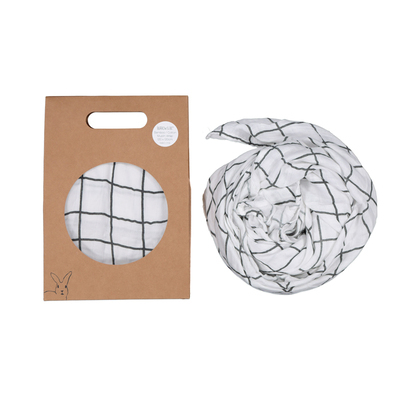 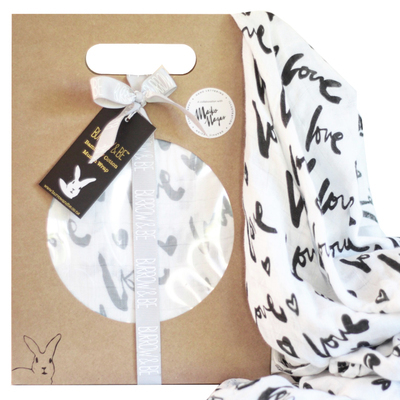 The ‰ÛÏLove" muslin wrap is a collaboration between designer and artist Maiko Nagao and Burrow and Be, The gorgeous hand lettering of Maiko Nagao has been printed in an all over pattern on the ever popular Burrow and Be Bamboo and Cotton muslin wraps. 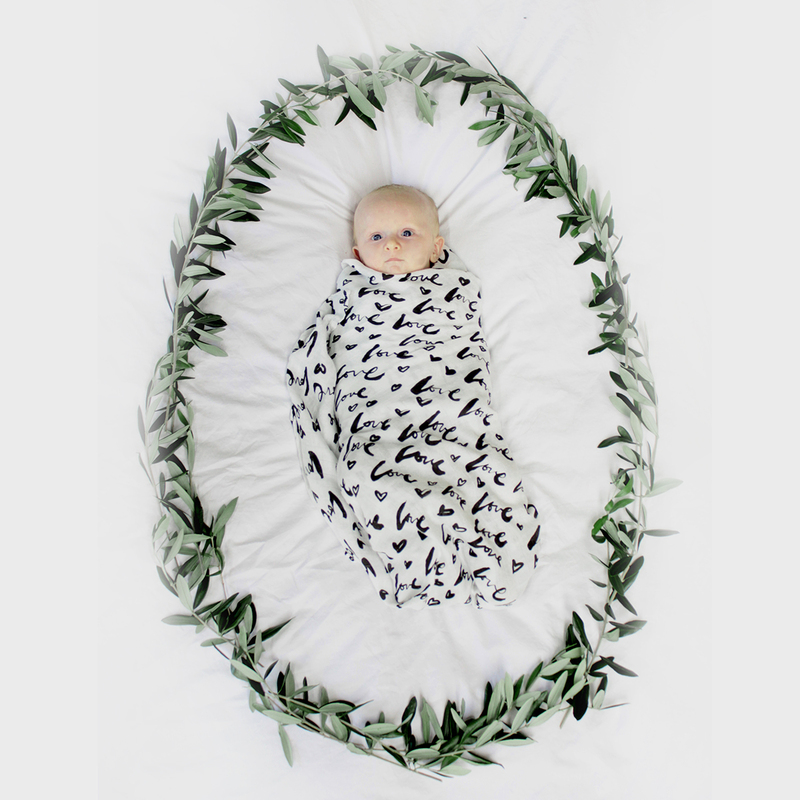 Available in a gender neutral grey or black print you can now literally wrap your baby in love!, The generous size of 120cm x 120cm make these wraps so versatile. 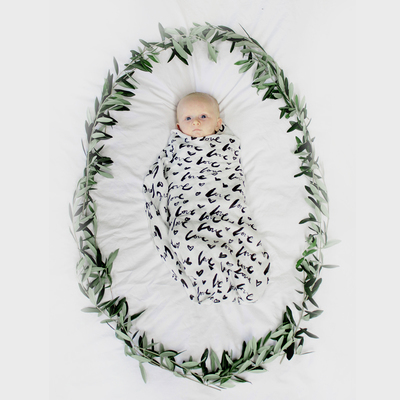 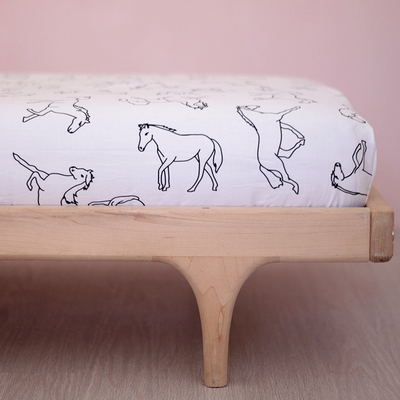 Use it as a baby swaddling wrap, breastfeeding cover, stroller cover, light blanket or snuggly.